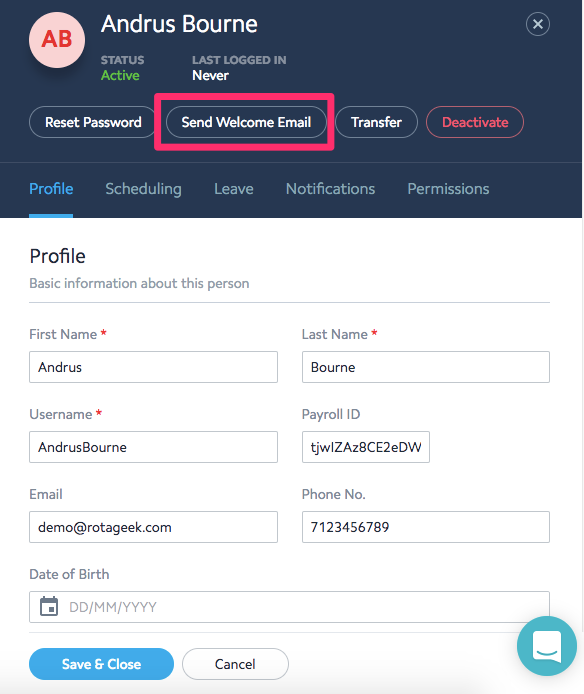 After creating a new user's account, you will need to send them a welcome email in order to invite them onto Rotageek. The email will include their username will allow them to create a password. To send your new starter a welcome email, navigate to their profile on the People Page and press Send Welcome Email. 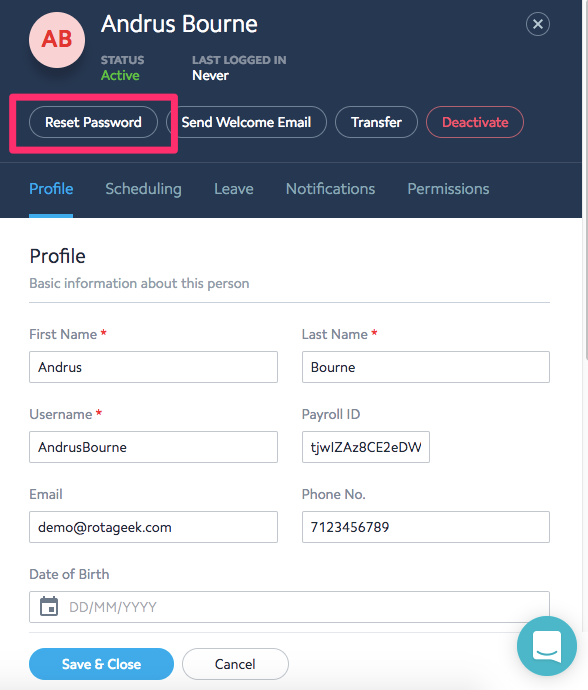 If your employee forgot their password, you can send them an email in order for them to reset their password by pressing Reset password.